During the 1960-80s, Canada signed on to three major international drug policy treaties: the Single Convention on Narcotic Drugs of 1961, the Convention on Psychotropic Drugs of 1971, and the United Nations Convention against Illicit Traffic in Narcotic Drugs and Psychotropic Substances of 1988. With Bill C-45 in place, Canada may run into troubles with certain requirements such as limiting and prohibiting the possession, use, trade, and distribution of drugs outside of medical and scientific purposes. On June 22, the Russian Ministry of Foreign Affairs released a statement condemning Canada’s progression to legalize cannabis, saying that Canada deliberately decided to breach its international legal obligations, citing the three treaties. Russia also reiterated that the International Narcotics Control Board confirmed that there are no exceptions or flexible interpretations of these conventions. 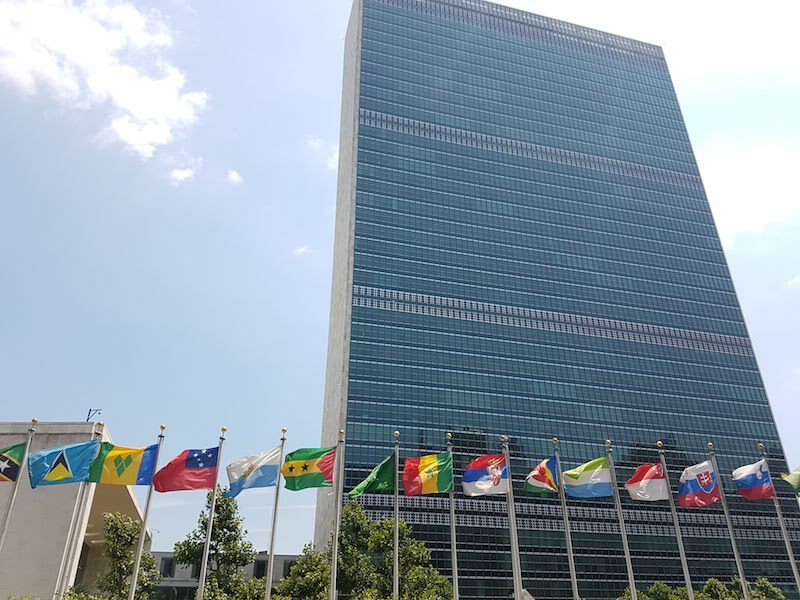 Likewise, the UN Office on Drugs and Crime (UNODC) released a statement on June 21 regretting the Canadian legislature’s decision to legalize cannabis for non-medical use, and also cited the INCB’s statement. Under Yuri Fedotov’s leadership, the UNODC believes that Canada’s decision contravenes provisions of the drug control conventions, undermines the international legal drug control framework and respect for the rules-based international order. Therefore, national action to address the world drug problem, the UNODC argues, should be taken in line with the three international drug control treaties. The 1961 treaty does include a provision that provides a potential opportunity for Canada’s new legislation. Article 28 outlines the “Control of Cannabis”, whereby a member party to the treaty could permit the cultivation of the cannabis plant for the production of cannabis as long as it applies thereto the system of controls as provided in Article 23 and adopts necessary measures to prevent the misuse of cannabis. Evaluating Article 23, Canada would also need to fulfill the following requirements: (a) create and maintain one or more government agencies, (b) the agency shall designate the cultivation areas, (c) only cultivators licensed by the agency shall be authorized to engage in such cultivation, and (d) that the agency shall have the exclusive right of importing, exporting, wholesale trading and maintaining stocks. Moreover, there is no requirement that this right only extends to medicinal cannabis, and therefore, includes production without discrimination. At the same time, it is unclear if this will be enough ambiguity for Global Affairs Canada to avoid international rows with the UN, Russia, China, and the US, since the treaties do not specifically allow or maintain an exclusion for the purposes of recreational use. The Canadian Senate Committee on Foreign Affairs and International Trade released a report on Canada’s obligations to the international treaties. All witnesses, including Minister of Foreign Affairs Chrystia Freeland, concurred that the new legislation will contravene with Canada’s obligations. The Minister also stated that Canada will be prepared to discuss with parties of the treaties to establish common ground. Global Affairs Canada officials believe that the legislation would still uphold the general principles of the treaties, and are willing to proceed with the legislation to see the international reaction and then to come up with a response. If there are additional difficulties, Canada could withdraw from the treaties and re-join with a reservation, which would include an exception allowing Canada to effectively use its new legislation within the parameters of the international agreements. There is precedent for this type of action, such as when Bolivia effectively withdrew from the 1961 Single Convention on Narcotic Drugs, and then re-joined with a “reservation” allowing the use of coca leaves within its own borders to get around the ban within the treaties. If attempted, Canada could only be blocked by an opposition vote of one-third of the parties to the treaty, amounting to more than 60 nations. For Bolivia’s case, only 15 voted in opposition. It would be highly undiplomatic if Canada were to utilize the non-compliance principle, where the government could admit to the violation but still remain non-compliant. This would follow Uruguay’s decision to not comply with the treaties, despite warnings from the UNODC, given that there was no substantial action pursued against Uruguay for its defiance. Substantial action or embargoes are against the aims of the treaty, thus, the UNODC would attempt to work with Canada to create incentives to comply. Nonetheless, this creates the risk of ruining diplomatic relations with key nations including the US, EU, China, and further degrading relations with Russia. Furthermore, this would encourage more countries to do the same, and even encourage nations to not comply with other more significant treaties, which would result in the nullification of beneficial treaties and the degradation of diplomatic relations. To avoid this diplomatic bickering, Canada could partner with certain treaty members to make amendments, such as the declassification of cannabis. These nations would need to stand by Canada in their appeal to declassify cannabis within two major international bodies: the Commission on Narcotic Drugs and the World Health Organization’s Expert Committee on Drug Dependence. During this process, it would be beneficial for Canada to negotiate first with its closest allies, and with nations that have ‘relaxed’ domestic rules for cannabis including the Netherlands, Uruguay, Argentina, Jamaica, Portugal, Spain, and Australia. In creating an inter se agreement, Canada would promote the values of the treaty, apply modifications with popular support, and receive an amendment that would confirm its new legislation on the international stage. Based on this evaluation, Canada would find it most beneficial to ally with ‘like-minded’ allies and create an inter se agreement to adapt international treaties regarding drugs. This would help prevent the isolation of Canada in this matter, thus, preventing the risk of being pressured by the UN bodies, Russia, and other actors. This is the most likely route given that the global drug control regime is flexible, in terms of treaties and international law, due to the fact that a “one-size-fits-all” approach would be unrealistic. It would be best, in order to avoid becoming a treaty violator, for Canada to first consider its international obligations and to ensure that it stands in-line with international treaties before finalizing its new legislation. In doing so, Canada could be the driving country to encourage the international community to reconsider these treaties and even their own domestic policies. Photo: United Nations headquarters in New York (2018), by Demyan Plakhov. Courtesy of the author.